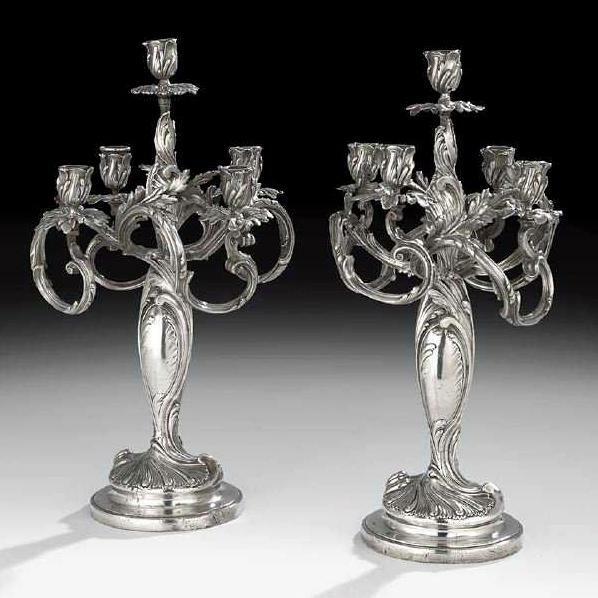 This fine pair of silvered candelabra date from the late 19th century. 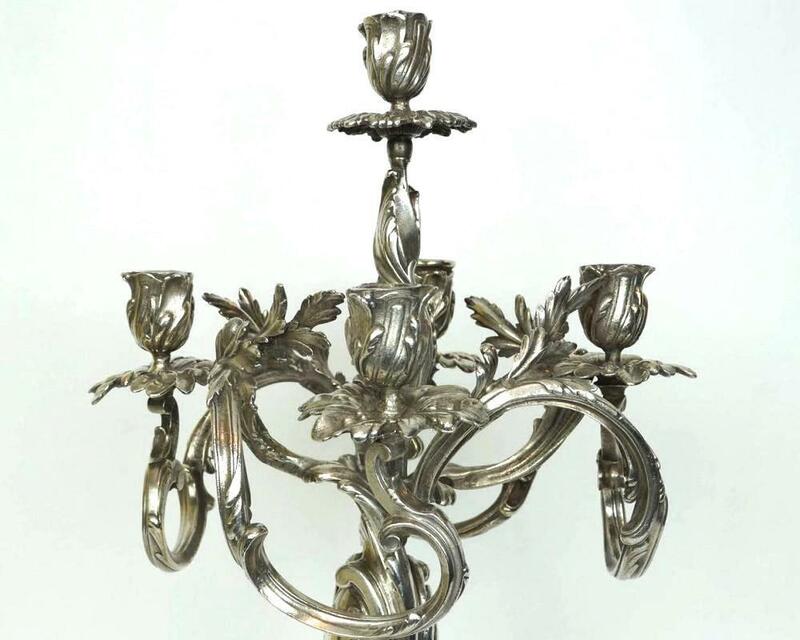 They measure 2.5 x 11.5 x 11.5 in (52 x 29 x 29 cm) and feature an acanthus-mantled standard, four scrolling arms terminating in drip pans and nozzles, with domed foot above circular plinth. There are no visible hallmarks. 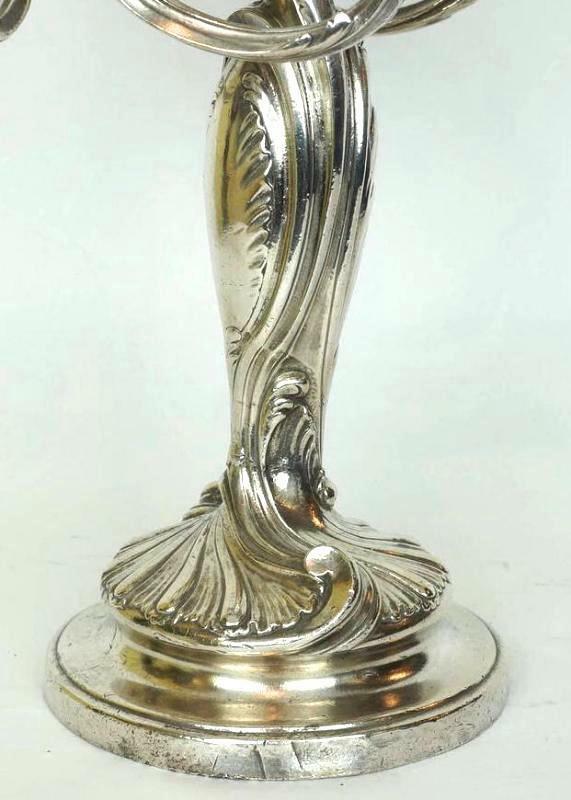 Possibly from Christofle. Condition of each is good. They show obvious wear, including dents, nicks, scratches and rubbing. 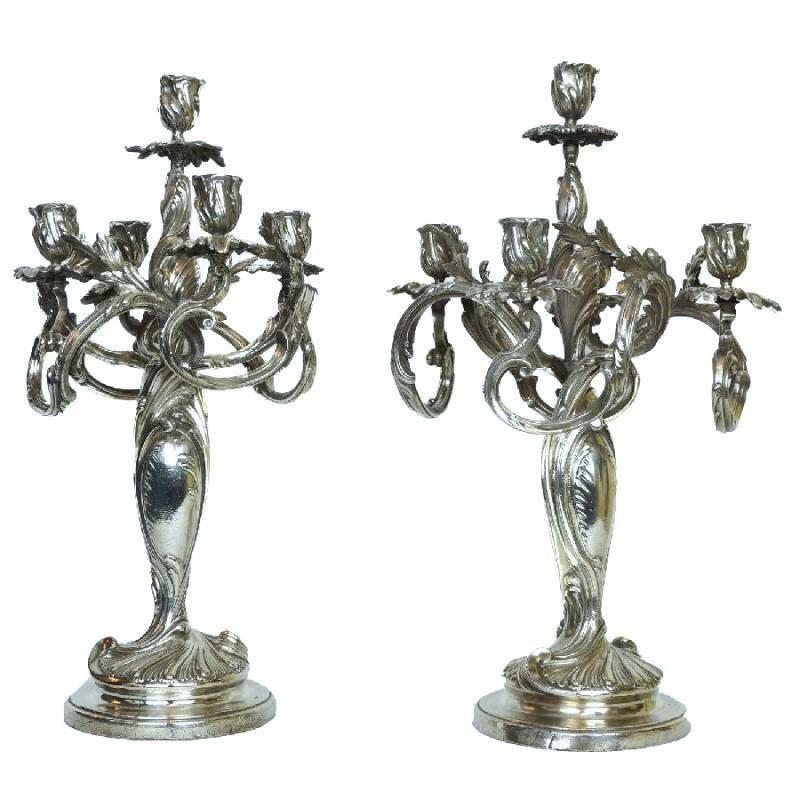 Items Similar To "Pair Antique Silverplated Bronze Candelabra in French Rococo Styl..."